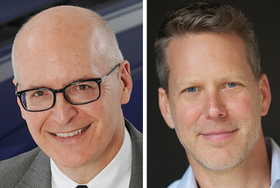 DETROIT -- Ford Motor Co. said Bob Shanks, its CFO since 2012, will retire at year end and be replaced by Tim Stone, a 20-year veteran at Amazon and former CFO of Snap Inc., the parent company of popular phone app Snapchat. 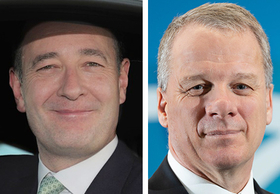 The move is part of series of global changes announced Thursday that include new presidents of Ford's European operations and international markets group. Stone, 52, will join Ford next month as a company officer and will become CFO on June 1. He will report directly to CEO Jim Hackett. Shanks, 66, joined Ford in 1977 and was previously CFO at Mazda Motor Corp. He'll stay on through year end to assist on special projects, Ford said. His departure had been expected. "Bob will leave a remarkable 42-year legacy at Ford," Hackett said in a statement. "As a CFO, he's been relentless in driving for results and pushing the company to greater heights. He's also been a wonderful colleague who leads with integrity, warmth and humor. Bob's leadership was integral to Ford's comeback during the Great Recession, and he has been an invaluable partner as we transform Ford to succeed in the next era." Stone has a background in the tech sector, which could suit Ford well as it tries to redefine itself as an auto and a mobility company. Stone said he's familiar with Ford because his family drove Explorers and Ford vans, and his father used Ford vehicles in his work as a general contractor and plumber. "He was a key player in the incredible success at Amazon and he understands the principles of fitness and growth as complementary virtues for Ford's future," Hackett said. Peter Fleet, president of international markets group, will retire. The international markets group is a new business unit that Ford will begin reporting financial results for on Jan. 1. It covers about 100 markets, including operations in Africa, ASEAN, Australia, India, Mexico, Middle East, New Zealand and South Korea. Fleet, 51, has held roles in Ford marketing, sales and service, and global business operations. Most recently, he was Ford's president of Asia Pacific. He'll be replaced April 1 by Mark Ovenden, president Ford Middle East & Africa. He'll report to Jim Farley, Ford's president of global markets. 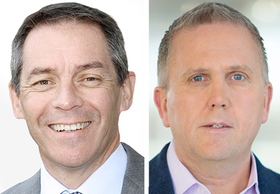 Stuart Rowley, 51, COO for Ford North America, will replace Steven Armstrong as president of Ford of Europe. Armstrong will become chairman of Ford of Europe. In his new role, Armstrong, 54, will oversee key transformation projects and joint venture partner interactions for the region, as well as lead Ford's engagement with European governments on key industry legislation and issues, the automaker said. Both men will report to Farley, and the moves are effective April 1, Ford said. Birgit Behrendt, 59, vice president, joint ventures, alliances and commercial affairs in Europe, will retire at the end of March. In her role, she helped establish Ford's global alliance with Volkswagen. 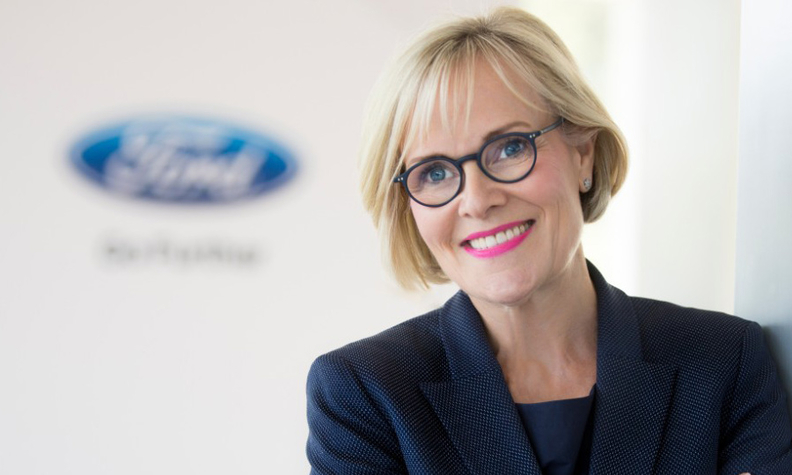 She'll continue to be a member of the Ford Werke Supervisory Board. Ford did not name a successor.